A 21 day series for entrusting Our Lady with our most difficult knots. When Pope Francis became the Vicar of Christ, his special devotion to Mary Undoer of Knots entered the global spotlight. Providentially, this encouraging Marian devotion has been introduced into our hurting world just when we need it the most. It is all about entrusting Mary with the "knots" in our lives: the problems, conflicts, and pain that we endure – within our souls, in our relationships, or in our daily trials – which are difficult to bear and seem almost insurmountable. Instead of struggling alone, Mary wants us to hand these knots over to her in faith so that she can begin to untangle them with her capable hands. There is no knot she can’t unravel. When Pope Francis became the Vicar of Christ, his special devotion to Mary Undoer of Knots entered the global spotlight. Providentially, this encouraging Marian devotion has been introduced to the world just when we need it the most. It is all about taking the "knots" in our lives – the problems, challenges, or conflicts that we face – and trusting Mary to unravel them with her capable hands. She not only prays for us and draws us closer to Christ, but like a good Mother, she also counsels us on how to navigate uncertain or difficult circumstances with clarity, gentleness, and peace. No matter what life may bring us, there's no knot she can't unravel. What is the Mary Undoer of Knots story? The Mary Undoer of Knots devotion began over 400 years ago. It started with a troubled marriage that was healed through Our Lady's intercession, and was memorialized in a painting that has been made famous by the Holy Father. Since then, many Catholics around the world have found this Marian devotion to be very efficacious. This powerful title of Our Lady has its origins in the early Church and is connected to Mary’s motherly role in the life of every Christian. Through this series you will learn the fascinating origin and history of the Mary Undoer of Knots devotion. You will also learn why Mary has the God-given power, love, and ability to smooth the knots in your life and in the lives of loved ones for whom you earnestly pray. But this devotional series is not just about the troublesome knots that so often beset us ... it also includes a practical, day-by-day guide on the spiritual disciplines of the saints. These traditional Catholic practices will unite you closer to God as Our Lady works to bring counsel and clarity to the circumstances of your life. 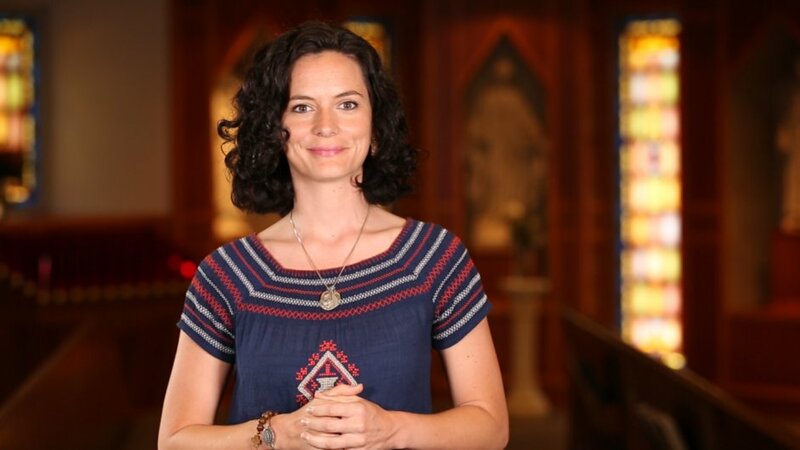 In addition to explanatory text and video segments, the series also includes a daily audio rosary meditation and a novena to Our Lady Undoer of Knots. At a time when so many people are suffering with anxiety, stress, worry, depression, family tensions, and relationship problems, our hope and prayer is that you will walk away from this series with greater peace of mind and heart as you entrust your knots to the skillful hands of Our Lady. After you purchase the series and continuing for the following 21 days, you will receive an email linking you to new daily content to read and watch at GoodCatholic.com. 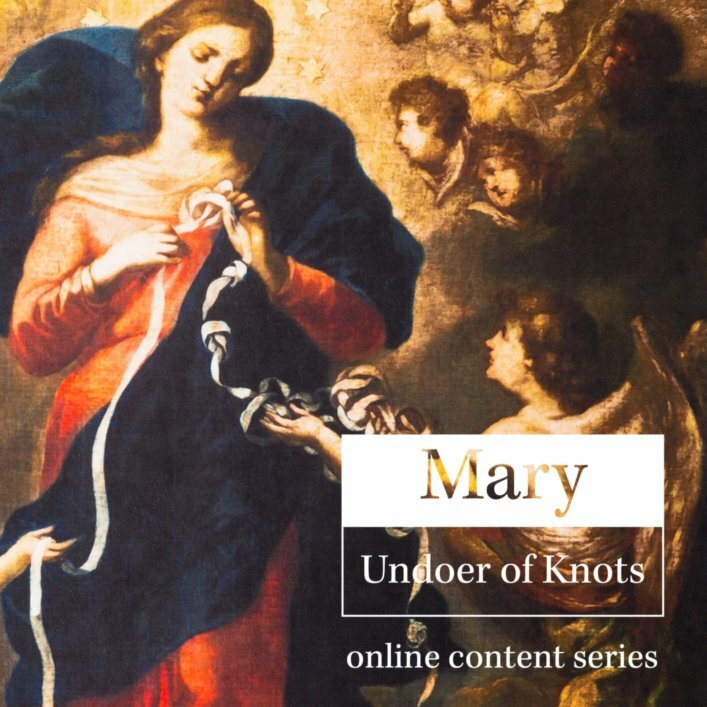 This series will explain the richness behind the Mary Undoer of Knots devotion while showing you how to gain greater peace of mind and heart through the practice of Catholic spiritual disciplines. You will be able to repeat the series as often as you choose for a full year after your purchase date. Purchase includes access to this series only. Subscription expires one year after purchase date. Forward this link to a friend so they can join too! The account login was unsuccessful. Please verify that your email address and password are entered correctly. Don't have an account? Having trouble logging in? To create an account, reset your password, and more, please visit the CatholicCompany.com Account Management page. Unless otherwise noted, all content is Copyright 2017-2018 The Catholic Company. Questions? Comments? Feel free to contact us at goodcatholic@catholiccompany.com or call 866-522-8465. You can send a referral for the series to someone by entering their email address below and clicking send. Your referral has been sent to .